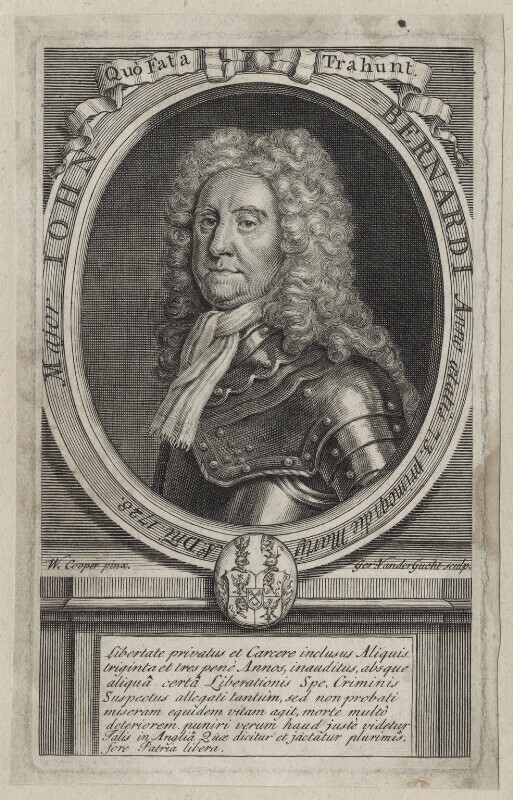 John Bernardi (1657-1736), Army officer and Jacobite conspirator. Sitter in 2 portraits. William Cooper (active early 18th century), Artist. Artist associated with 2 portraits. Gerard Vandergucht (1696 or 1697-1776), Engraver and art dealer. Artist associated with 28 portraits, Sitter in 1 portrait.